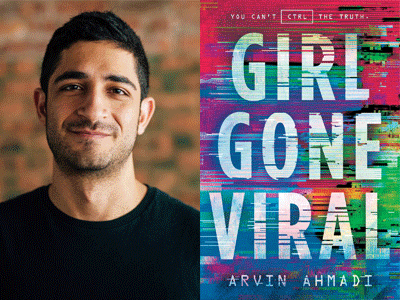 Not Your Mother's Book Club presents Arvin Ahmadi for a discussion of his stirring thriller, Girl Gone Viral. Perfect for fans of Warcross and Black Mirror, Girl Gone Viral is the inventive and timely story of a seventeen-year-old coder's catapult to stardom. Arvin will be in conversation with Randy Ribay, author of After the Shot Drops--a Kirkus Reviews and Publishers Weekly Starred novel about friendship, basketball, and one teen's mission to create a better life for his family.